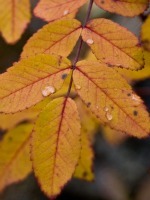 Dale H. Staley of Otsego, Michigan, died Saturday, March 31 2007 in Kalamazoo. Dale was born February 17, 1917 in Otsego to Lloyd and Emma (Hopkins) Staley and was a lifelong resident of the area. He was employed with the MacSimBar Paper Co. for 46 years, retiring in 1981. He was a former past Governor of the Otsego Moose Lodge and enjoyed fishing, hunting and golfing. On August 31, 1940 in Hillsdale he married Glenda Reed. Surviving are his children, Roger (Becky) Staley of Ludington, Janice (Richard) Newton of Kalamazoo; 5 grandchildren; 9 great-grandchildren; many nieces and nephews. He was preceded in death by his parents and by his siblings, Walter, Paul and Clyde Staley and Stella Fisher. Friends may meet the family from 11:30 A.M. to 12:30 P.M. Wednesday at the Winkel Funeral Home, Otsego, where services will be held at 12:30 P.M. Wednesday. Burial will follow at Mountain Home Cemetery, Otsego. Contributions in memory of Dale may be made to Otsego United Methodist Church Building Fund or Borgess VNA and Hospice Services. Died Friday, March 30, 2007 in Allegan. Friends may meet the family from 1 to 2 P.M. Thursday at the Winkel Funeral Home, Otsego. A graveside service will immediately follow at Mountain Home Cemetery, Funeral Celebrant William Rose officiating. Contributions in memory of Joyce may be made to the family for funeral expenses. Leonard Koziolek of Grand Rapids, Michigan, went to be with his Lord on March 27, 2007. Leonard was preceded in death by his wife, Geraldine, his son Richard (Jacksonville, FL); and his son-in-law David Guthrey (Wyoming, MI). Leonard will be lovingly remembered by his children, Stephen (Jane) Koziolek, Nancy Guthrey, daughter-in-law Judy Koziolek, grandsons Robert (Marci) Koziolek, Edward (Cyndi) Koziolek; his granddaughter, Kris (Michael) Wren and 6 great-grandchildren. Leonard and Geraldine grew up, met and were married in Michigan City, IN, where Leonard enlisted in the service. Leonard was a WWII Purple Heart veteran serving in the United State Navy and retired after a 22 year career as a Chief Petty Officer. He retired to New Port Ritchie, FL to enjoy his hobby of golf and to care for his wife. He returned to the Grand Rapids area 10 months ago to spend the rest of his life with his family. He was a member of St. Margaret’s Church of Otsego, MI. The family will receive family and friends at the Root Funeral Home in Michigan City, IN on Saturday, March 31, 2007 beginning at 10 AM (Central time) with services at 12 Noon (Central time). Cremation will follow. Donations may be made to Wings of Hope Hospice of Allegan County. 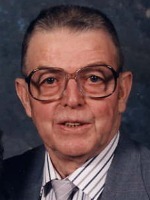 Raymond E. Lober of Plainwell, Michigan, died Friday, March 9, 2007 in Grand Rapids. Mr. Lober was born April 20, 1918 in Martin to Harold and Isoline (Wilcox) Lober and had helped to build the homestead. He was an Army veteran of WWII, serving with the 79th Infantry Division in France and Germany. Raymond farmed most of his life and enjoyed making stained glass pieces until his health failed. Toward the end of his life he especially enjoyed being with his grandchildren and made a habit of watching the Jerry Springer Show. On May 30, 1942 he married Earlene Braizer, and she preceded him in death. Also preceding him in death were five brothers and sisters, Wise Dunahoo, Floyd Lober, Harold Lober, Cis Frost and Nina Wykstra. Surviving are a daughter, Raylene (John) Riston of Plainwell; two grandchildren, John Francis Denheim and Angela Nicole Kline; five great-grandchildren, Izabella N. Kline, Kiara R. Kline, Madison E. Riston, Alexandria L. Riston, and Katilynn J. Riston; three sisters and a brother, Vonnie Barnun, Jack Lober, Betty Kunz and Paulene Orris; many nieces and nephews. Friends may meet the family from 7 to 9 P.M. Monday, March 12, 2007 at the Winkel Funeral Home, Otsego, where services will be held at 1:30 A.M. Tuesday, Rev. Dan Minor officiating. Burial will follow at Hillside Cemetery, Plainwell, with military honors by V.F.W. Post #3030. Contributions in his memory may be made to the American Heart Association of Michigan or the Battle Creek Veterans Administration Hospital. David A. Thomson of Otsego, Michigan, died Friday, March 9, 2007 in Kalamazoo. David was born December 15, 1955 in Allegan to Duane and Beverly (Piffer) Thomson and was a lifelong resident of the area. When he was growing up his father was in the U.S. Air Force and the family had lived in several countries, including Okinawa. He was employed with Humphrey Products for 15 years and Hy-Tech Spring and Machine in Plainwell for 2 years. Dave enjoyed cars, especially his black ’87 Mustang GT 5-liter with T-Tops. His favorite leisure activities included softball and baseball, serving as scorekeeper at ball games, bowling, camping, hunting and traveling. He was a big fan of the Detroit Tigers and enjoyed plowing snow with his truck. Dave loved the weekly family get-togethers with his parents, sisters and brothers, where they would hang out, barbeque and play volleyball. Dave especially loved spending time with his grandkids, taking them to movies, eating at Big Boy and shopping with them. He was a member of the Martin Lions Club. Surviving are three children, David Troy (Ronda) Thomson of Otsego, Steven (Ashley) Thomson of Otsego and Jessica Thomson (Justin Schwartz) of Mattawan; 8 grandchildren, Hallie, Dallas, Collin, Darrien, Madelaine, Kayla, McKenzie and Noah; his step-father, Luther Lampp of Otsego; three sisters, Terri Wrobleski of Wayland, Tonya (Adam) Hall of Plainwell, Tracey (Jim) Yoder of Gobles; two brothers, Pete Thomson of Gobles and Mike (Carla) Thomson of Oswego, Kansas; many nieces and nephews. He was preceded in death by his parents and by his brother, Tom, and brother-in-law Wayne Wrobleski. Friends met the family from 2 to 4 and 6 to 8 P.M. Monday, March 12, 2007, at the Winkel Funeral Home, Otsego, where services were held at 11:00 A.M. Tuesday, March 13, 2007, Rev. Jack Eitelbuss officiating. Burial followed at Mountain Home Cemetery, Otsego. Contributions in memory of Dave may be made to his family toward expenses (checks to Jessica Thomson). Joshua Pontrello of Kalamazoo (Alamo Twp.) passed away Thursday, March 8, 2007 at his home. Joshua was born in Buffalo, NY to John and Mary (Ucci) Pontrello. His faith was very strong and witnessing for Jesus was his main goal in life. Joshua worked as a millwright for General Motors in Buffalo, Kalamazoo and Lansing, retiring in 2000. He enjoyed woodworking in his spare time. On November 1, 1975 in Buffalo, he married Elke Schietke, who survives. Also surviving are 3 daughters and 2 sons, Judy (Don) Bartow of Evansville, IN, Ronald (Kristine) Pontrello of Buffalo, Rosemarie (Mike) Guillow of Buffalo, Jason (Angela) Pontrello of Syracuse, NY, Crystal Pontrello of Riverside, CA; 6 grandchildren; 2 great grandchildren; 3 sisters and 2 brothers, Mary Jane (Tom) Sciandra, Esther Lurwig, Daniel (Sharon ) Pontrello, Elizabeth Pontrello, Bill (Joanne) Pontrello; many nieces and nephews. He was preceded in death by a brother, Joseph and a sister Lydia. Cremation has taken place. A memorial service will be announced later. Thomas J. Karkau of Otsego, Michgian, died Sunday, March 4, 2007 at Borgess Hospital. Tom was born April 14, 1929 in Lansing, Michigan to Emil and Eva Marie (Longacher) Karkau. Tom was self employed in construction and built many Mobil and Shell gas stations all over Michigan. He was very artistic and good at repairing furniture, etc., enjoyed golf and bowling. Tom was an active member of the Otsego Moose Lodge, Legion of the Moose and also a member of the Otsego Elks. He was a member of the Michigan Army National Guard for over 20 years. After retirement Tom continued to remodel and paint homes for people in the Otsego area and in the Split Rail RV Park in Mission, TX. On July 9, 1976 he married Martha Adams (Doubblestein) who survives. Also surviving are his children, Terri Karkau, Kristin (David) Goodman, Darl Doubblestein and Karen, Juanita (Doug) Hendrixson, Steven Doubblestein; 11grandchildren, Heidi, Britta, Meichen Plumhoff, Allison Goodman, Mellissa Porter, Adam Doubblestein, Timothy, Jason, Danielle Hendrixson, Tommy & Jennifer Doubblestein; many many great-grandchildren; his siblings, Robert (MaryLou) Karkau, Janice (Lawrence) Thompson, Ferne (Carl) Preston and Herbert (Liz) Karkau; many nieces and nephews. He was preceded in death by his sister Doris (Fred) Sharp, and brothers Lawerence (Delores) Karkau, John “Joe” (Denelda) Karkau, Ralph “Rudy” Karkau, Brain Karkau and William (Desh) Karkau. Friends may meet the family from 2 to 4 and 6 to 8 P.M. Wednesday with a Moose Service at 7:30 P.M.at the Winkel Funeral Home, Otsego, where services will be held at 1:00 P.M. Thursday, Pastor Tim Secord officiating. Burial will follow at Mountain Home Cemetery, Otsego. In lieu of flowers, contributions in memory of Thomas may be made to the Heart Center of Kalamazoo or West Michigan Cancer Center. 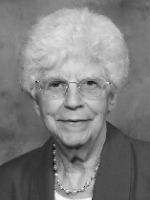 Mary “Alice” Hummel of Otsego, passed away Thursday March 1, 2007 at her home. Alice was born November 3, 1925 in Otsego, the daughter of Robert & Estella (Thompson) Guidebeck. She was a parishioner at the Otsego Church of God and was active in the sewing circle. On January 11, 1947 in Kalamazoo, she married Benjamin Hummel, who survives. Also surviving are 3 daughters, Sally (Gene) Hebrock of Kentucky, Sue Cinka of Otsego, Robin (Ken) Clark of Battle Creek, her daughter-in-law, Karen Hummel of Plainwell; 9 grandchildren; 3 great-grandsons; 1 sister, Lucile Leonard of Otsego, a brother, William Guidebeck of Comstock Park; 2 sisters-in-law, Carley and Allene. She was preceded in death by her son Ronald Hummel in 2003, 1 brother, Robert; 2 half sisters, Helen Stevens and Meurle Pries and 2 half brothers, Lovell VanFleet and Glenn VanFleet. Cremation has taken place. A memorial service will be held Monday, March 5, 2007 at 1 p.m. at the Otsego Church of God, Rev. Timothy M. Foreman officiating. A luncheon will follow. Burial of ashes will take place later at Mountain Home Cemetery, Otsego. Those desiring may make memorial contributions to the Otsego Church of God.